Large format color transparency by Arthur Rothstein. February 26, 1954. 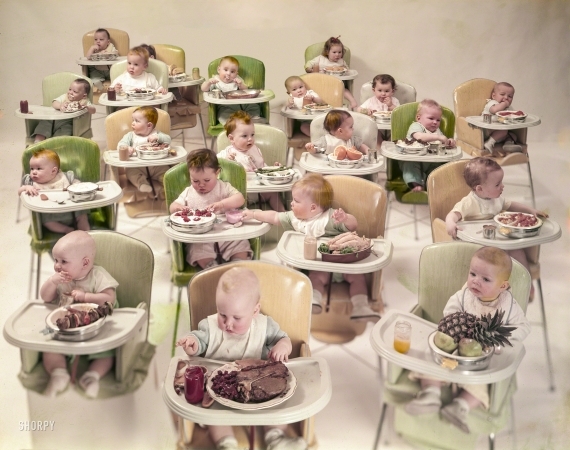 "Large group of infants in high chairs with various adult foods on their trays."